The new RSForm!Pro revision comes with major improvements and new add-ons such as CSS3 responsive layout and the PDF plugin. Also we have created an integration with the vtiger CRM. Just select the "Responsive (CSS3)" layout from the Form Layout section and your form will change its layout automatically depending on the device resolution. This feature comes as a request of many users that want to send the submitted data to 3rd party applications and services automatically. 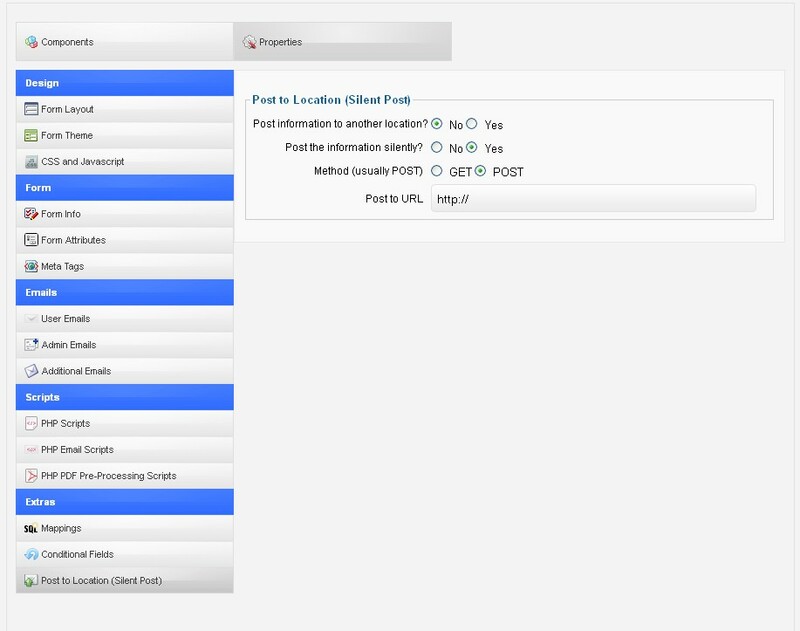 A new screen has been created in the Properties tab, under the Extras section named "Post to Location (Silent Post)" which will allow you to send the data that users fill in your form to other URLs using the GET or the POST method. You can also choose whether to post this information silently or to be redirected to the 3rd party service after submitting the form. The long awaited PDF generation plugin is here. It is designed to generate PDF files that include submission information. The PDF files can then be attached to the built-in User and Admin e-mails or published on the website using our RSForm!Pro List Submissions Module. You can read the whole article related to the PDF plugin here. 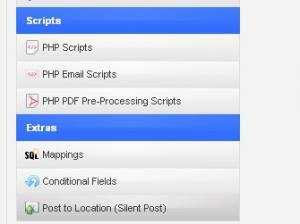 The vtiger Plugin allows integration between RSForm!Pro and the vtiger.com Webservice (Leads). The integration is done silently while running in the background, so the user (form submitter) will not notice anything in the frontend. You can read the whole article related to the vtiger plugin here. Thanks for sharing this. keep sharing. We are working on it, but unfortunately, we can't provide such an estimate. 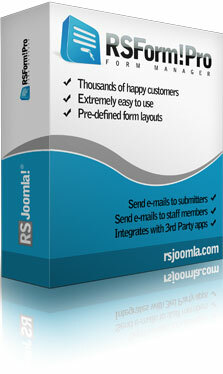 Dear RSJoomla, when can we expect a Joomla 3.0 version of RSFormPro? No, this isn't configurable, as different CRM's have different integration methods. This plugin was specifically designed for vtiger. I love that you're going the direction of CRM integration. It makes it applicable for many more of my clients. What I'm wondering though... is it only vtiger that's the supported CRM? Is it hardcoded or configurable to send leads to a wider array of CRMs? Please download the RSform!Pro installation file again and run it over your current one. This will act as an update and will resolve this. Thank you for this responsive layout. The client requested it and you created the same day!! However, I've got a problem that resurfaced with the way a group of checkboxes break when they flow onto two lines. To begin, I don't understand why they always want to break after the box, but before it's label. Before I switched to the responsive layout I was able to put a in the checkbox config to force a break. Now it appears as if the is ignored. Any advice here on how to get this to break correctly.